THERE’S A KEY SIX INCHES OF SPACE AROUND THE PERIMETER OF EVERY GLASS BUILDING. A TRANSITION SPACE THAT WAS POORLY DETAILED. UNTIL NOW. Glass buildings are definitely beautiful. They let in natural light and provide great views. But it’s a given that glass buildings are noisy. And, until now, all attempts to “tone it down” have amounted to a band-aid, not a real solution. 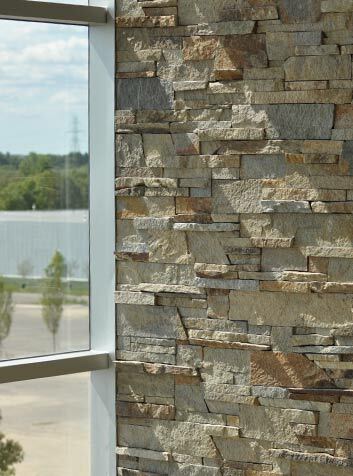 The mullion trim cap stems from our understanding of building construction. 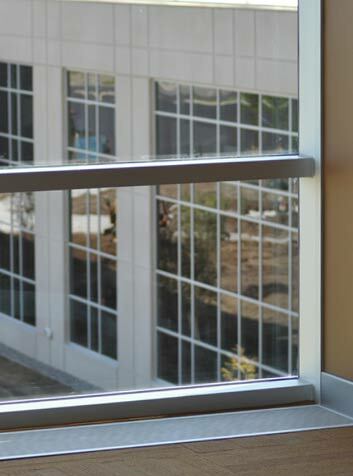 We know that curtain wall manufacturers primarily focus on weather-related factors. 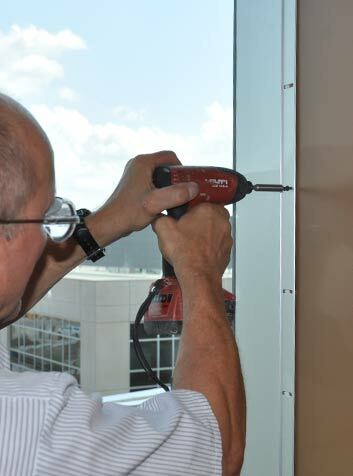 And we know that interior manufacturers focus on drywall sound insulation which ends at the slab edge of a building. 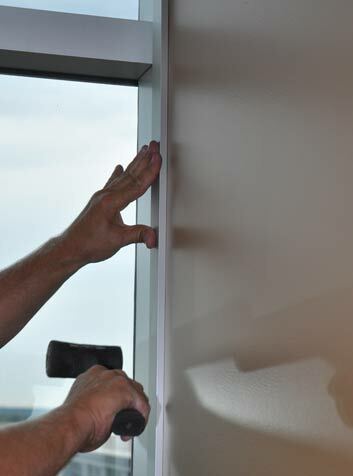 Yet there’s a gap: Adjacent to a building’s interior and integral to the exterior curtain wall is the grid of hollow aluminum tubes that hold the glass in place. And these tubes—six inches of space around the entire perimeter of glass buildings—serve as open air gaps that conduct noise and cannot stop fires. It affects productivity, privacy and safety (including, of course, HIPAA compliance). White noise devices aren’t sufficient; a more comprehensive solution is needed.